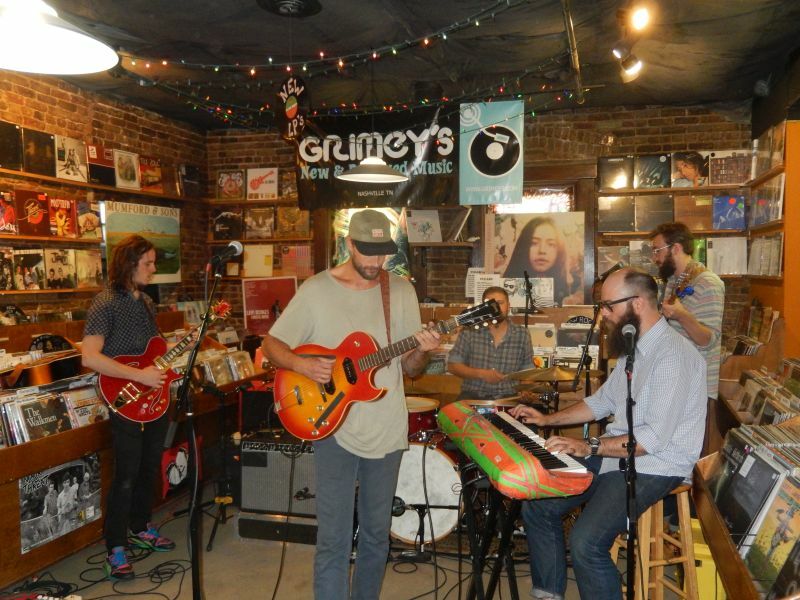 Touring behind his latest release on ATO Records, Imaginary Man, Rayland Baxter gave a 6pm Monday in-store appearance at Grimey’s that wound up being almost as long as his Nashville Sunday Night set at Third & Lindsley the night before. 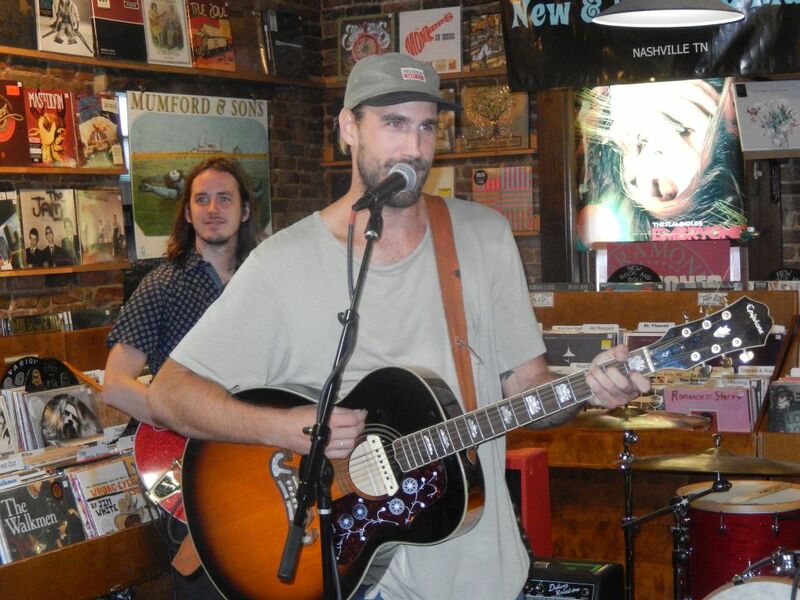 At the moment, the stars sure seem to be lined up right for the Nashville singer-songwriter. His new record continues to receive great press and deservedly so. In a time where many of his contemporaries seemingly struggle to be different, Baxter isn’t afraid to keep things honest and real. His true talent lies in layering his narrative songwriter style with an exquisite aural landscape of sounds. These manage to come together to make some of the freshest-sounding music I have heard in a long time. Baxter and his band ran through seven of the eleven songs from the new record. In doing so, they faithfully recreated its lush gorgeous sounds in their silky-smooth laid-back style. 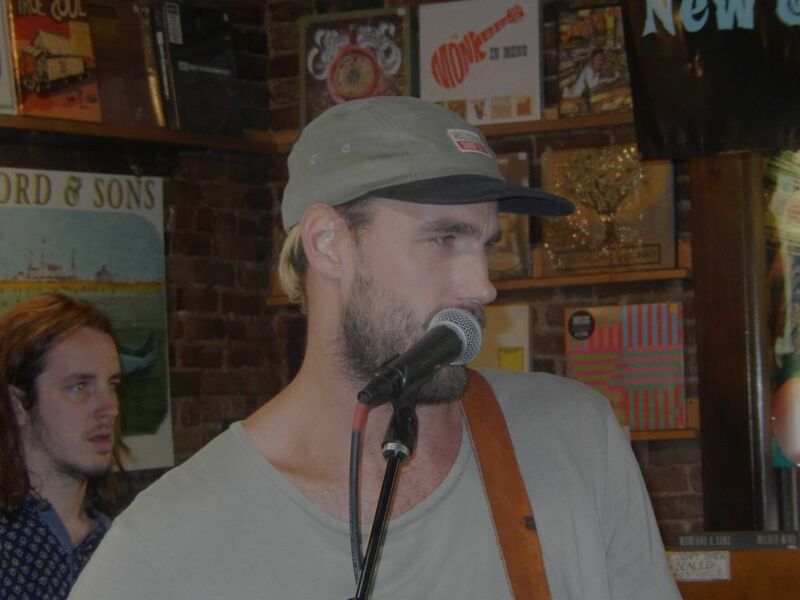 While each player respectfully did their part, Baxter’s secret weapon was undoubtedly the beautiful tones emanating from the lead guitar of Nick Bockrath, his current roommate on loan from Cage the Elephant. The final song played from the record, “Young Man,” wove seamlessly into a fiery cover of Bob Dylan’s “Lovesick.” To close, after polling the audience for “old or new,” Baxter sent the crowded room home with “Olivia” from his previous LP. Expect to see “Imaginary Man” on several best-of releases lists for 2015. Likewise, I suspect he will be spending much of his upcoming time on the road. Catch him and this great band while you can.